I was wondering when someone would use an iPad as the front-end to a fully featured modelling package running on a remote server, looks like Wavefunction have done a pretty impressive job with taking their sophisticated Spartan computational chemistry package from the desktop to mobile devices. iSpartan creates molecules as familiar 2D sketches, directly converts these into 3D structures, and calculates low energy conformations. 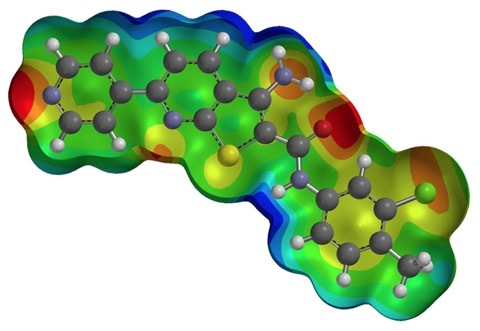 Atomic and molecular properties, NMR and infrared spectra, molecular orbitals and electrostatic potential maps are available from a 5,000 molecule subset of the Spartan Spectra and Properties Database (SSPD). The database may also be searched by substructure. Properties, spectra and graphical models of molecules in the SSPD subset are available for examination. iSpartan Server is an available add-on to the iSpartan app. iSpartan Server installs on a Windows or Macintosh computer and converts iSpartan from an application whose primary utility is sketching molecules in 2D and visualizing them in 3D, into an open-ended molecular modeling research tool providing access to the full Spartan Spectra and Properties Database (SSPD), currently ~170,000 molecules) and to the computational engines used to produce the data in the SSPD. For molecules not included in the database, connection to iSpartan Server supports calculation of structures, properties, and spectra for all user generated molecules from iSpartan running on the iPad, iPhone, and iPodTouch.